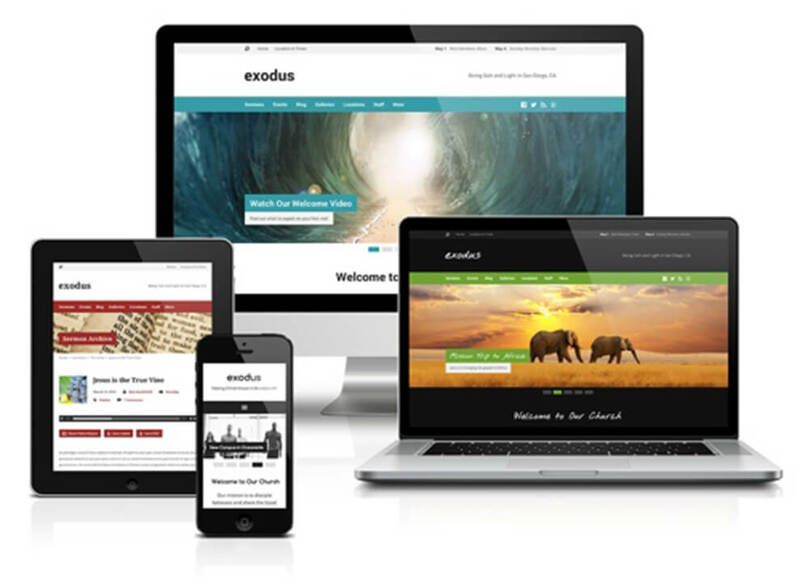 WordPress is a hub for various websites and blogs from around the world. 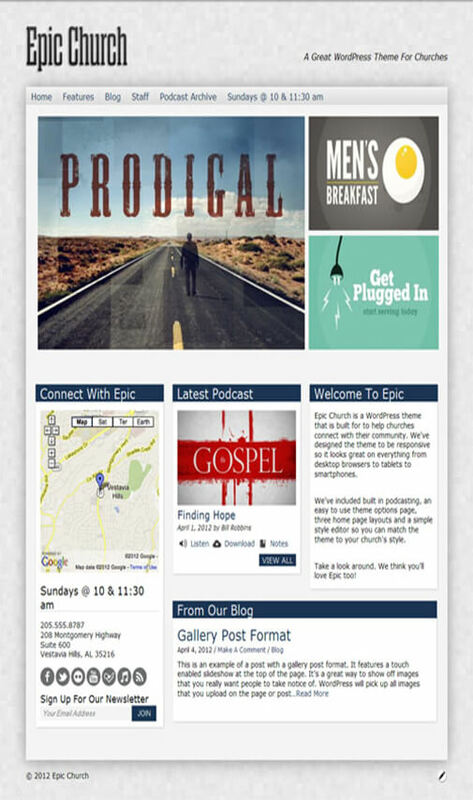 The blogs on WordPress are all different. 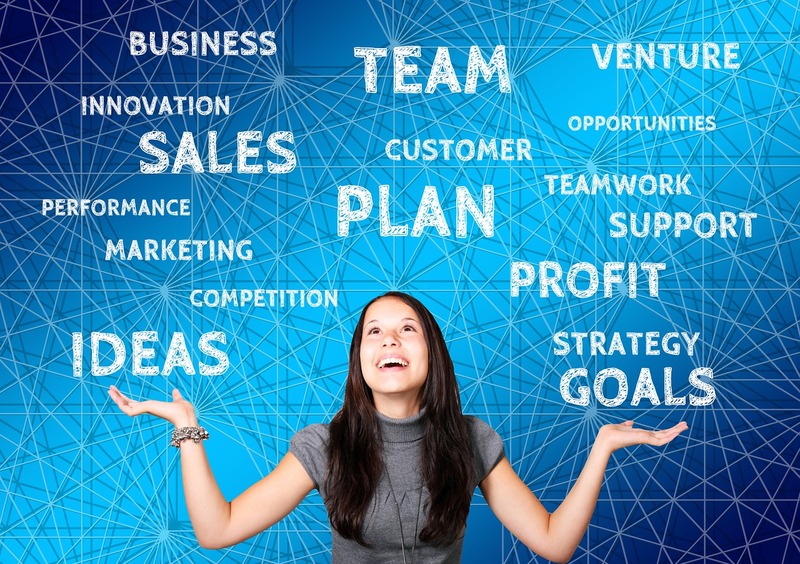 While some of the niches are related to fashion and design, the others are related to entertainment and fun. 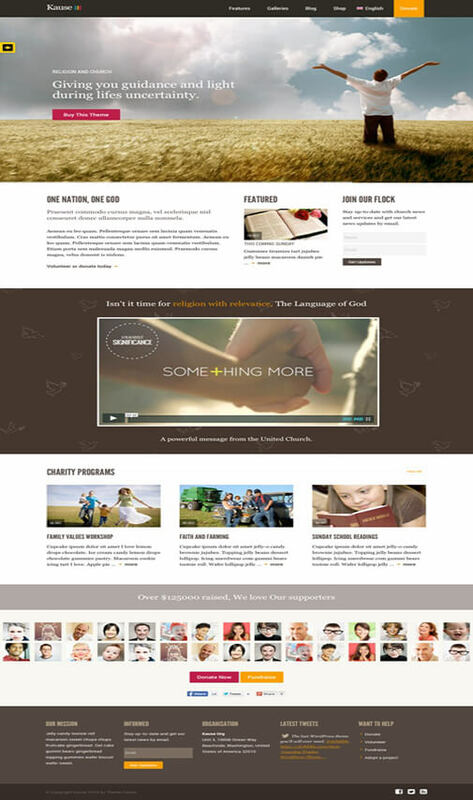 At the same time, there are also some websites and blogs which are run on the themes of church and religious aspects. 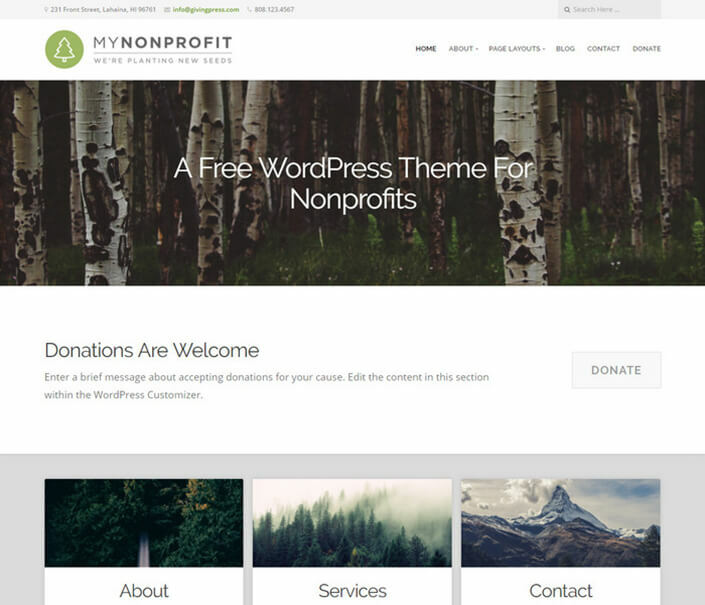 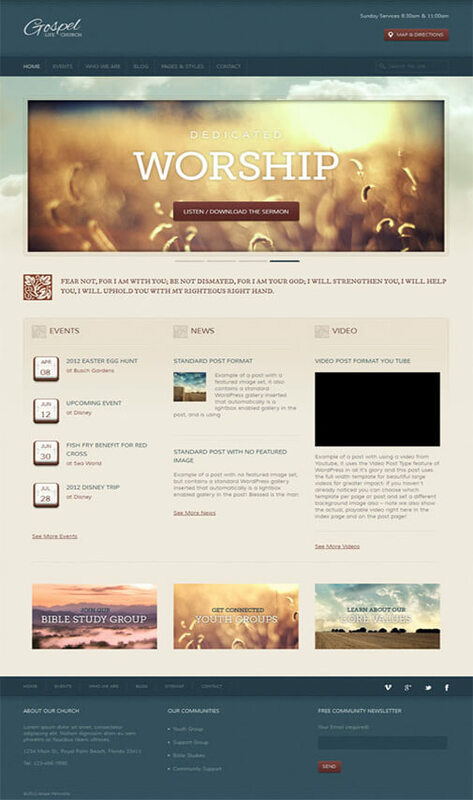 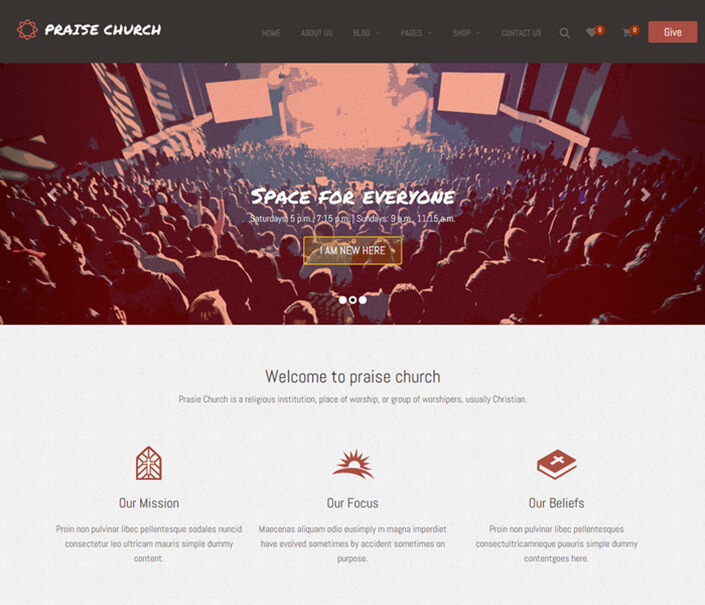 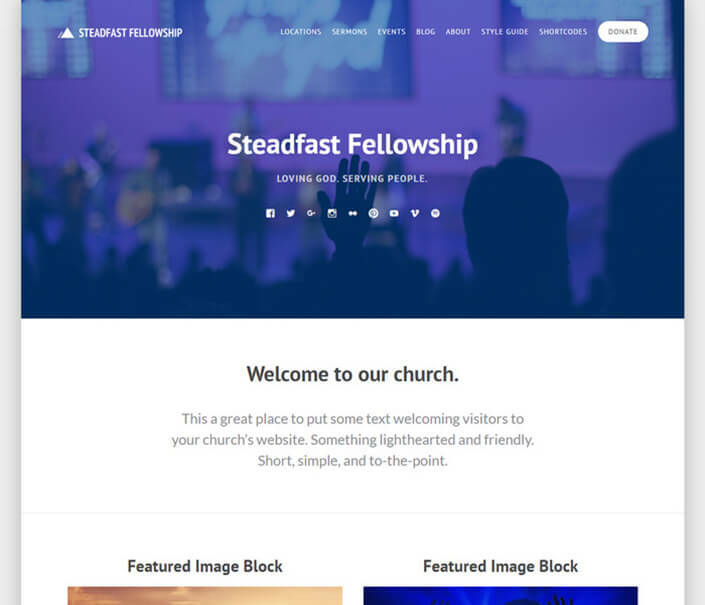 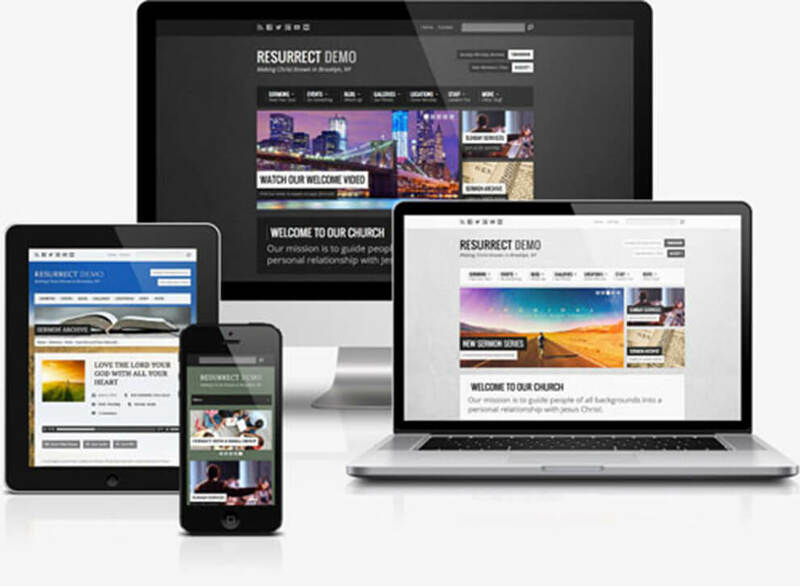 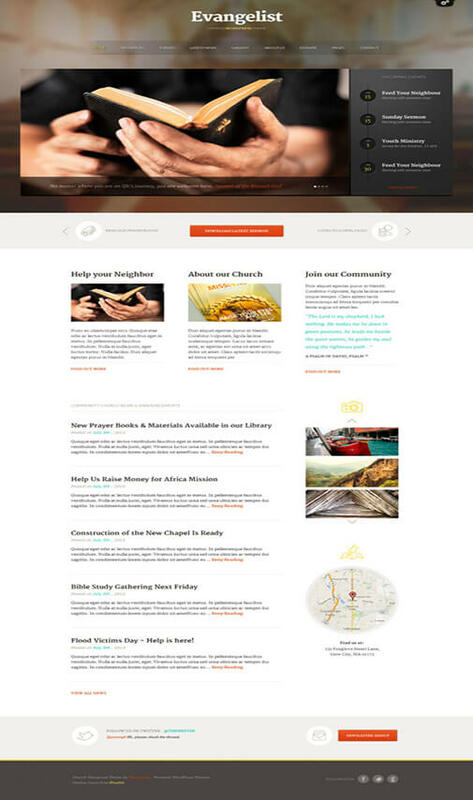 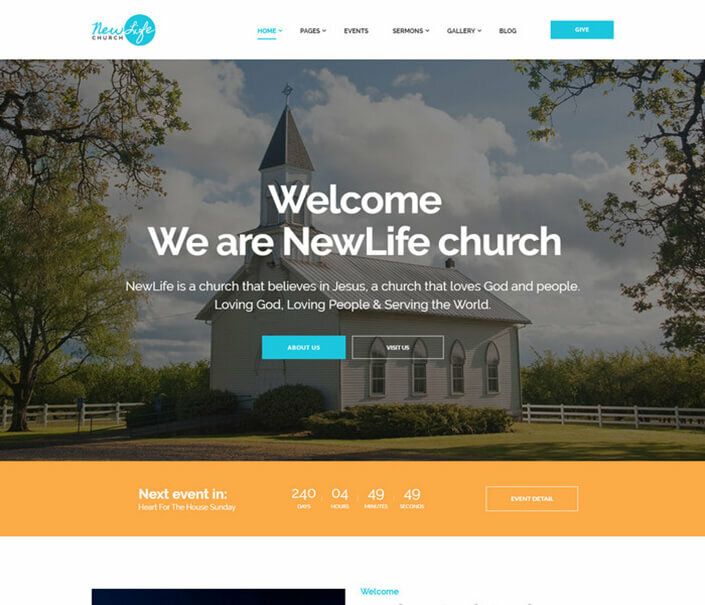 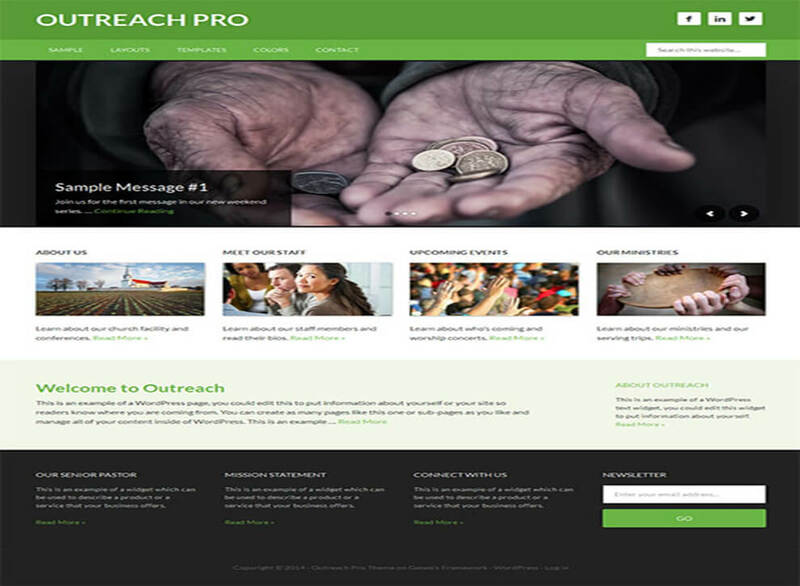 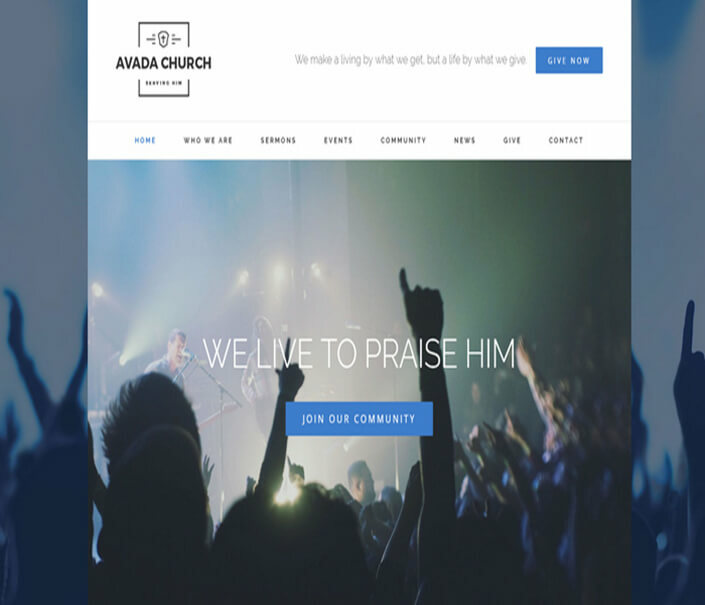 There are quite a few Church WordPress Themes that can be used to add more functionality and style to the website, thus making it more appealing to the visitors. 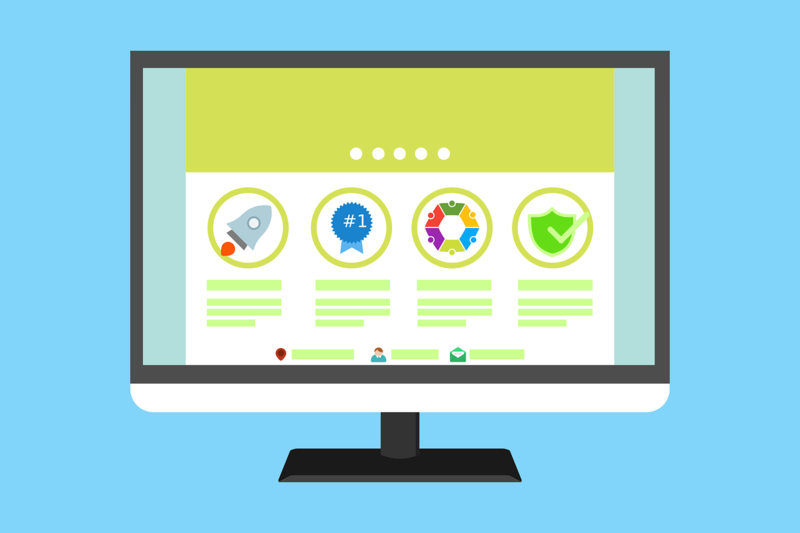 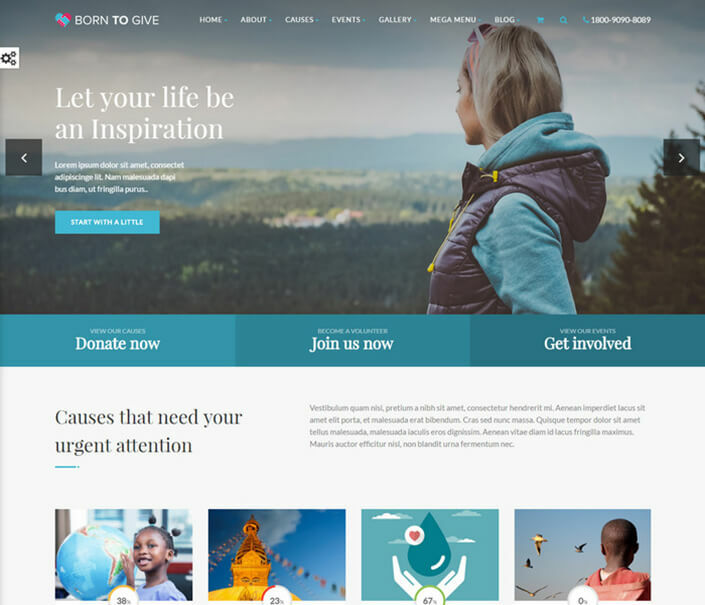 These themes are perfectly suited for the job as they have the best features to attract the people to the website or the blog. 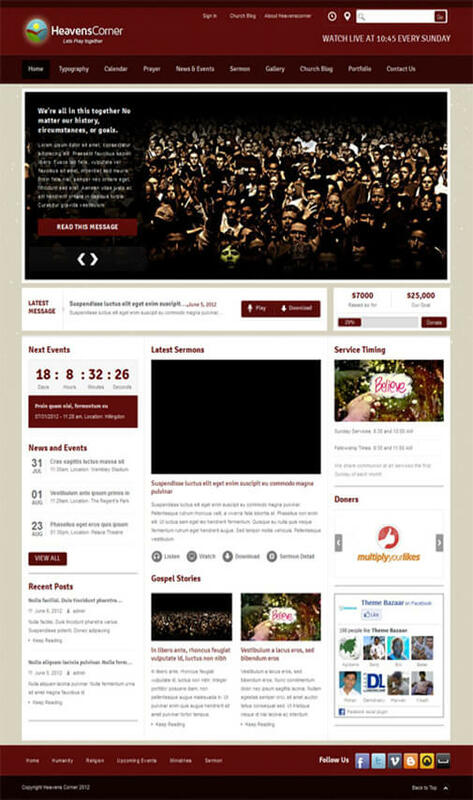 These themes are built according to the requirements of the web pages related to church or church goer’s interests. 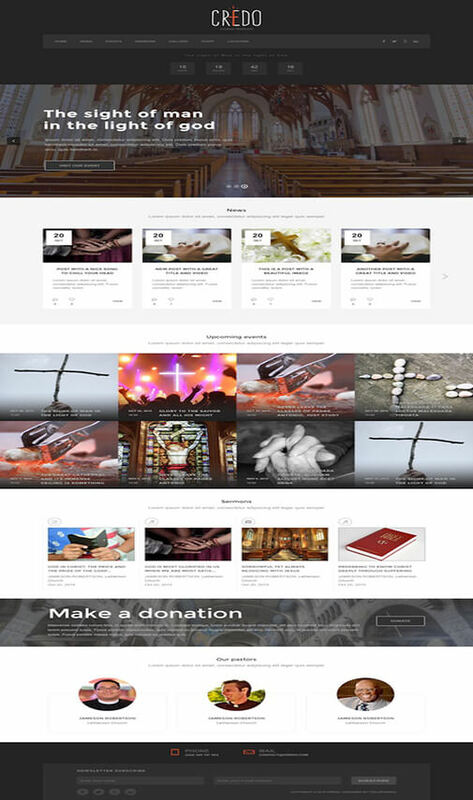 Some of these websites are just aimed at teaching the people about the church and about the necessity of attending the mass at church. 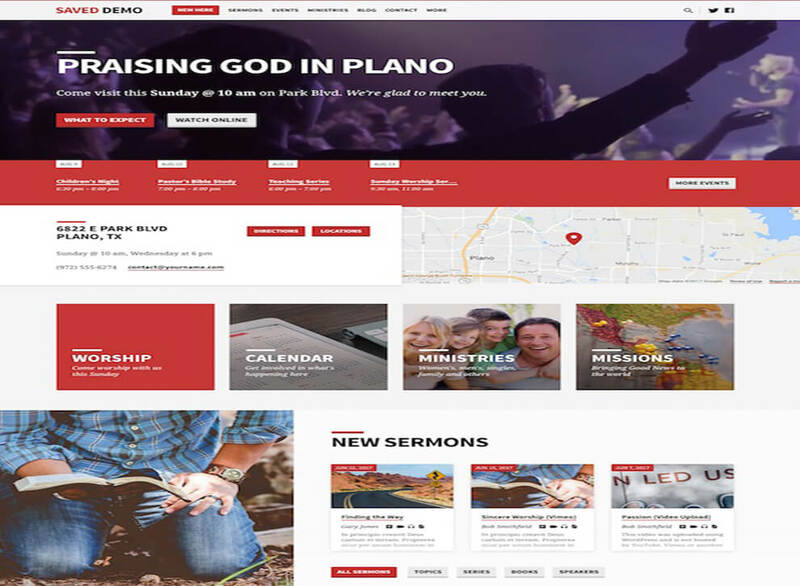 For such websites, there are cool features in these themes such as a strip showing if there are any recent events that are to take place near the visitor of the website. 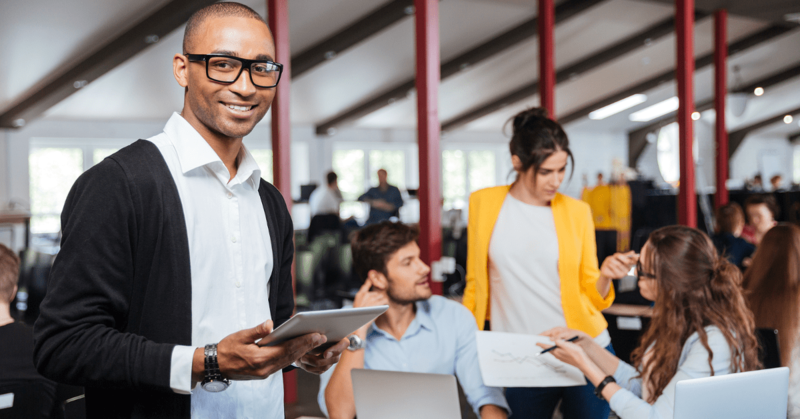 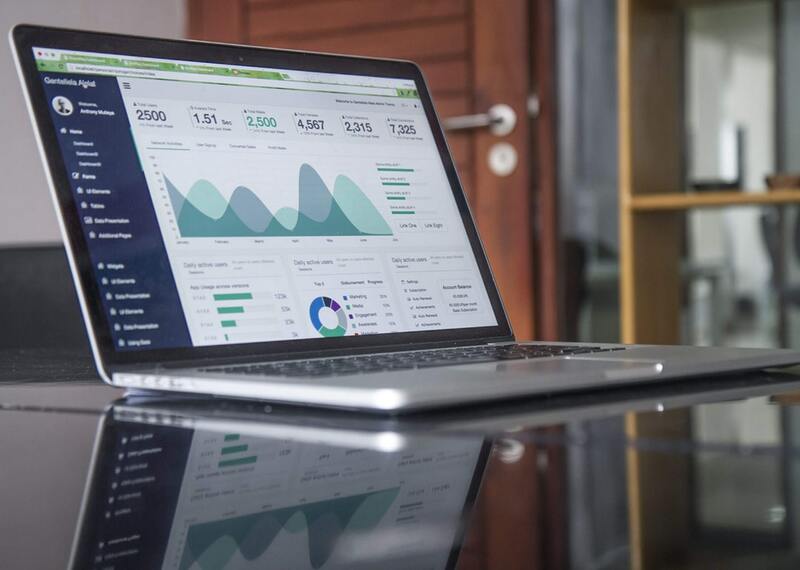 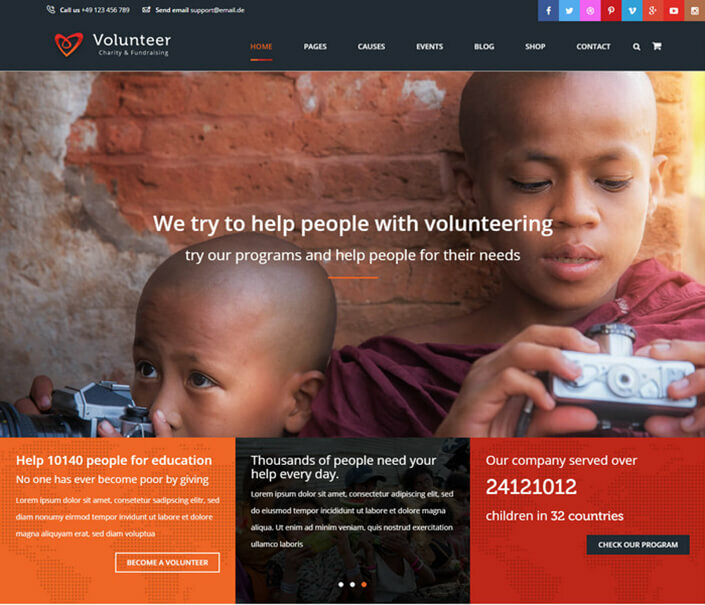 The web developers can also add the links to their social media accounts on the theme and let people engage more with the organization through social media contents such as images and pictures. 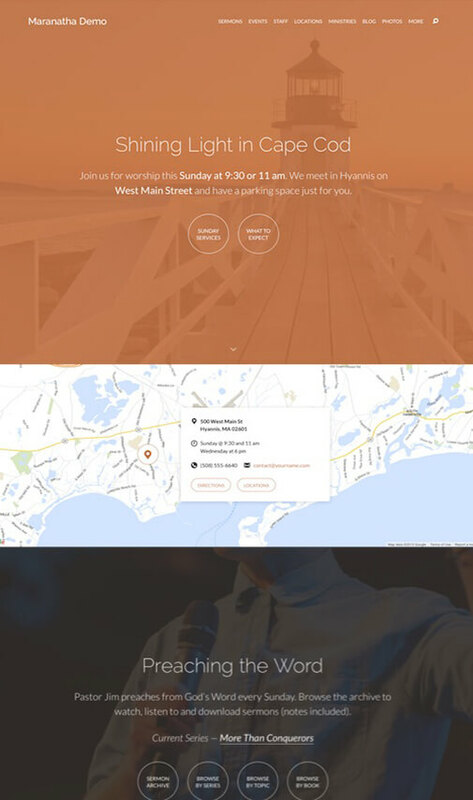 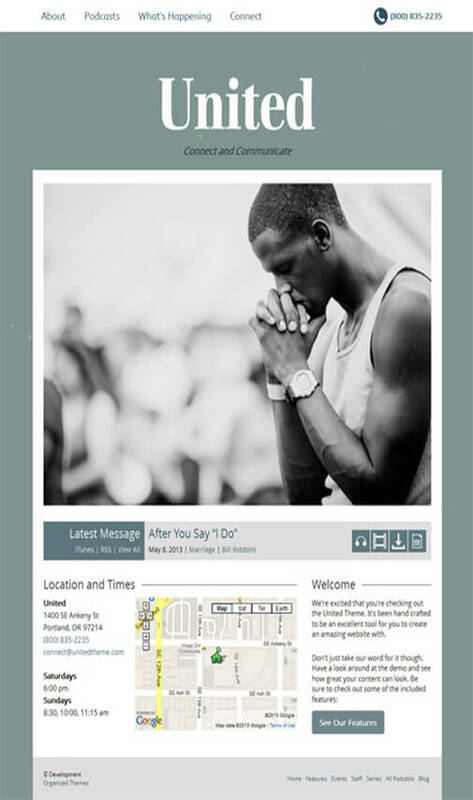 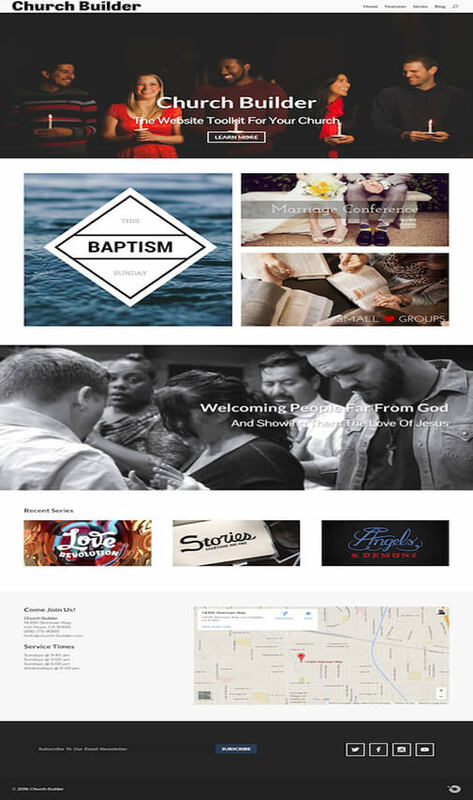 Using Google maps, they can also add location to these Church WordPress Themes so that the people who visit the websites can also find the physical location of the church in case they want to attend. 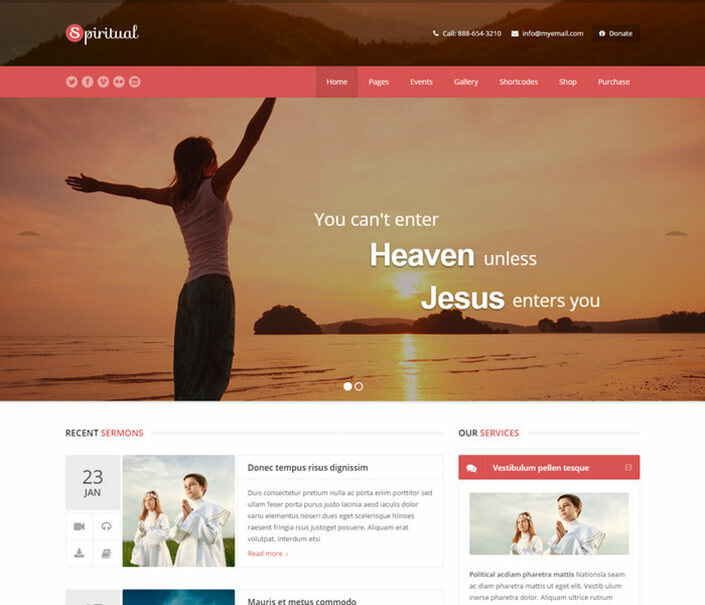 Moreover, there are also some Christian sites that are aimed at providing the users with suitable matrimonial places to find their potential match. 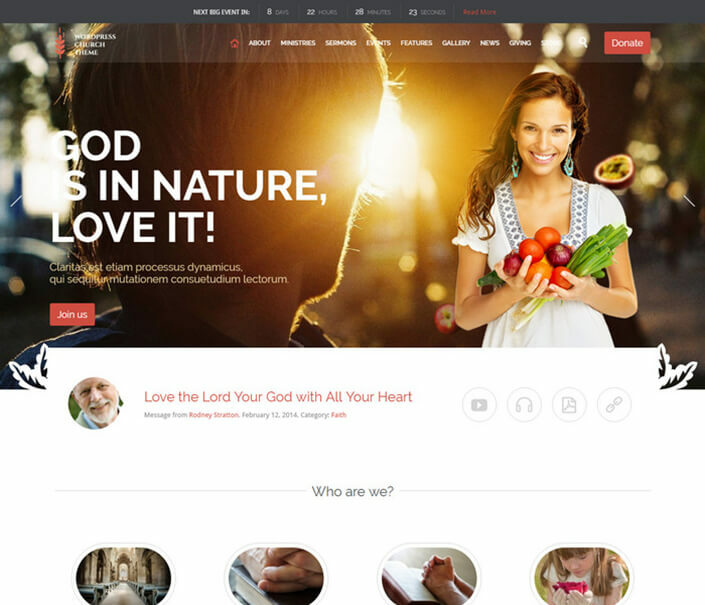 The users can find their soulmates on these sites which run under the church and are managed by the officials. 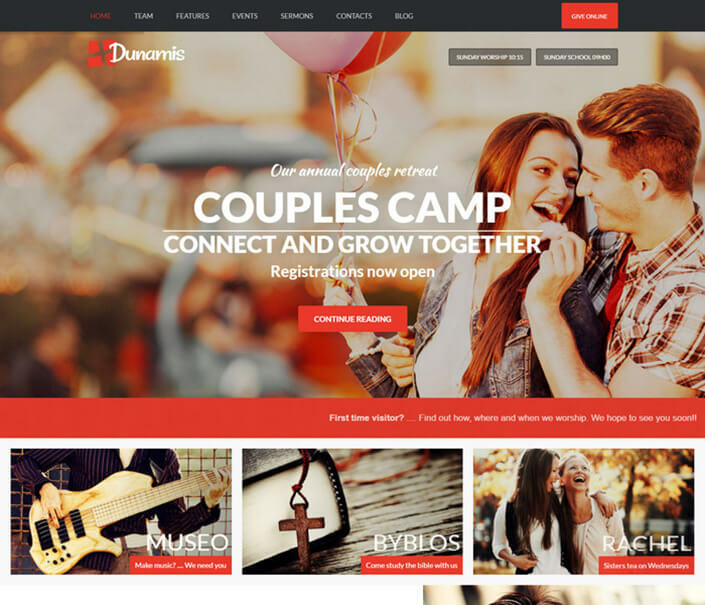 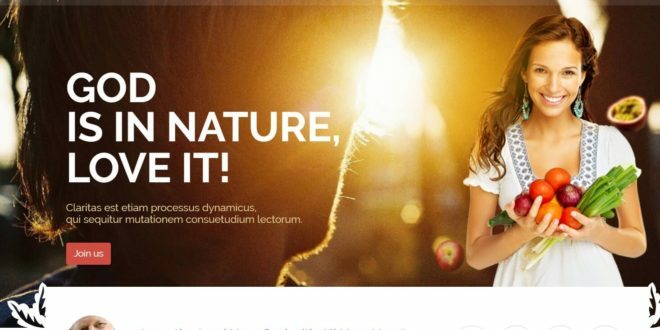 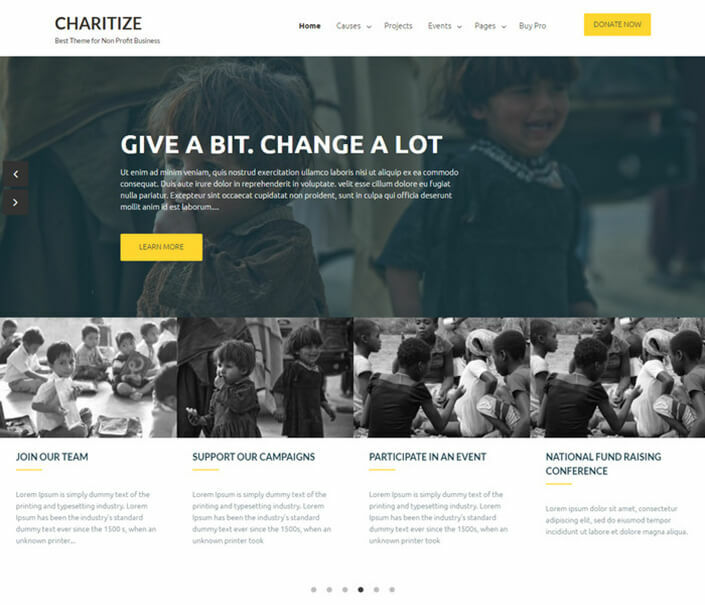 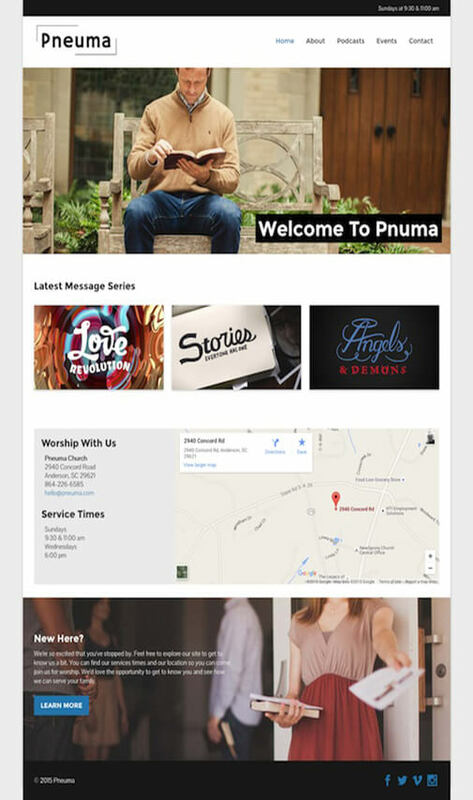 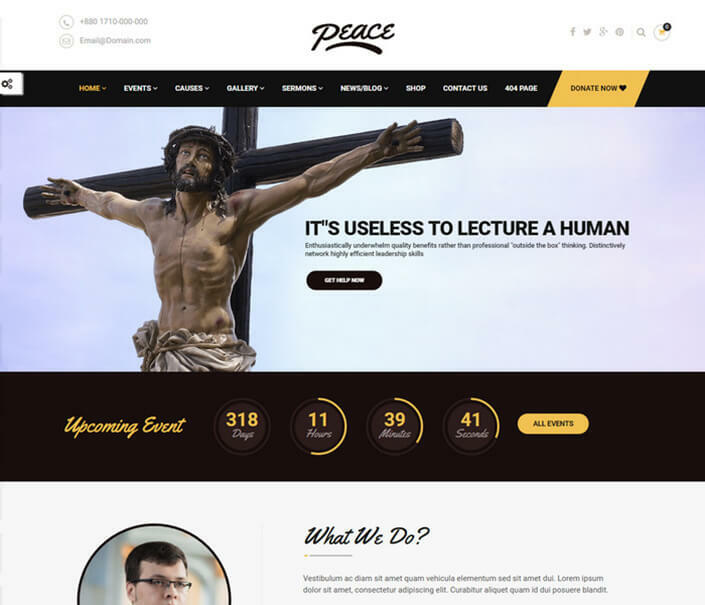 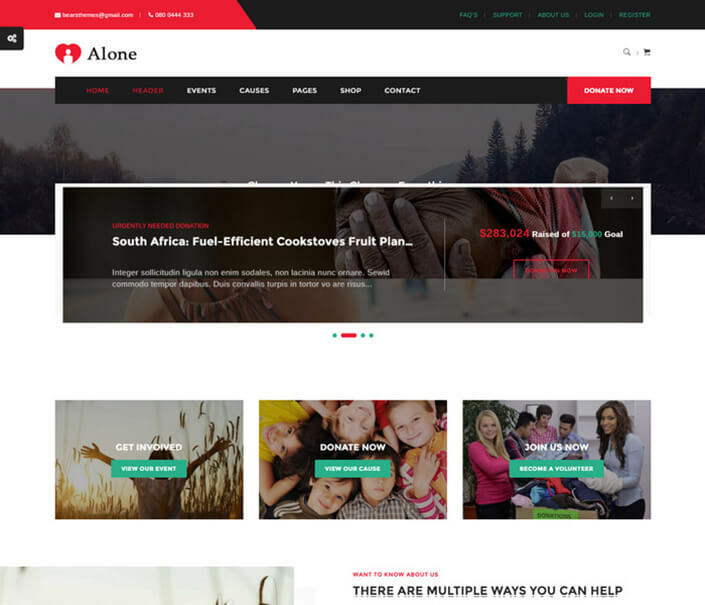 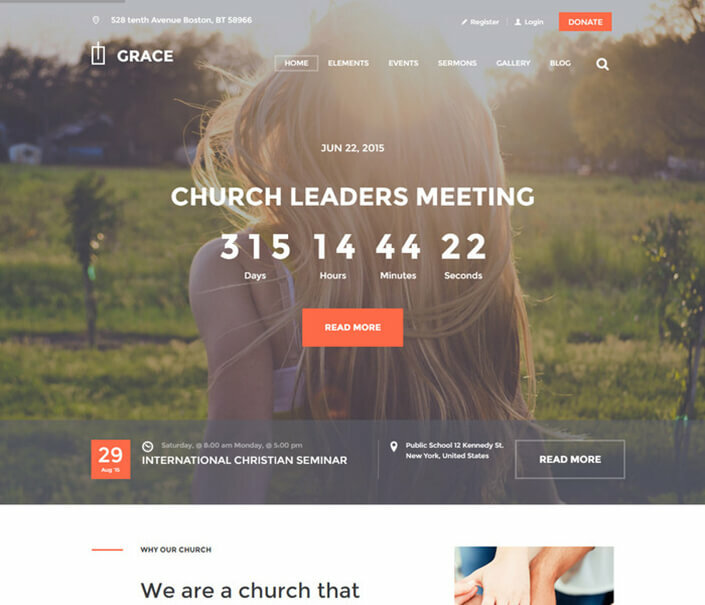 The theme and layout of websites like this is in a way that the color scheme corresponds to the feelings of matrimony and love while being in touch with the religious side at the same time. 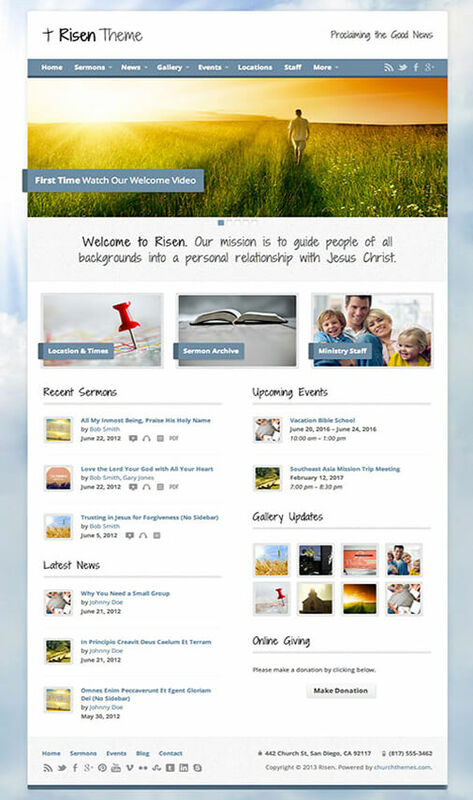 Along with these websites, there are also some blogs which are related to church issues. 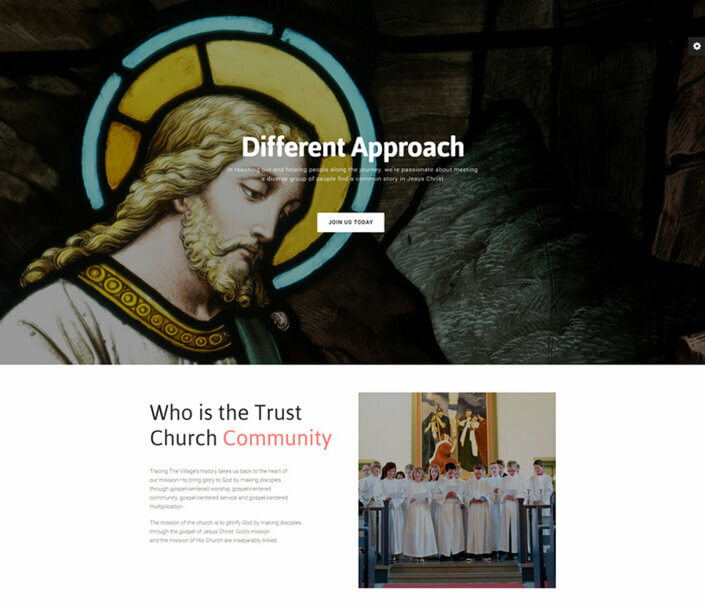 These blogs are aimed at providing the visitor insight of the religion and to make them knowledgeable about the church and the teachings of the church. 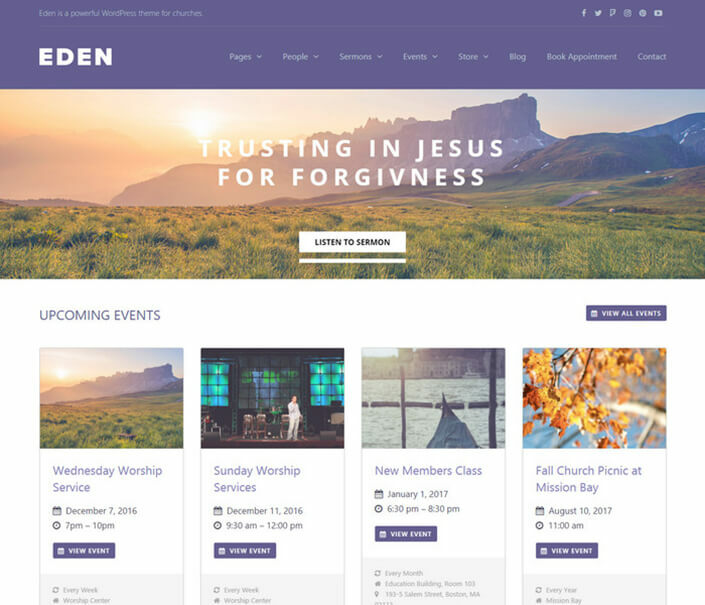 These themes offer a serene atmosphere for the person to be in so that they can understand the concept of the church better. 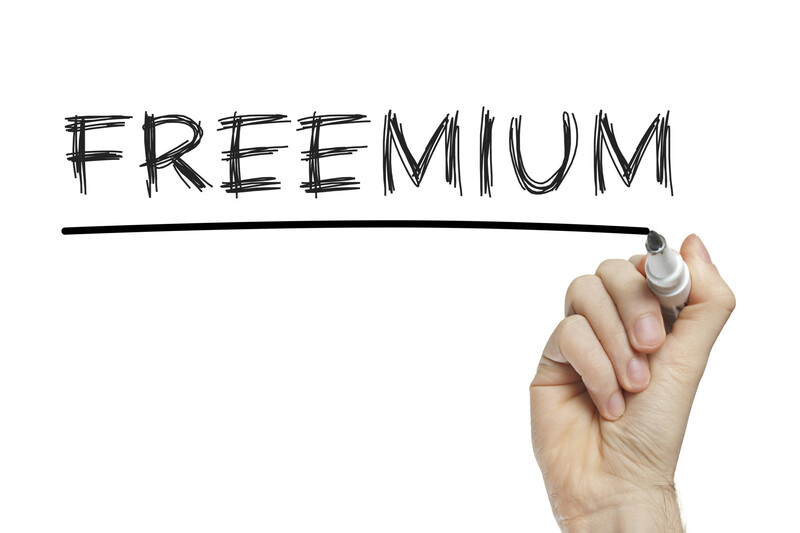 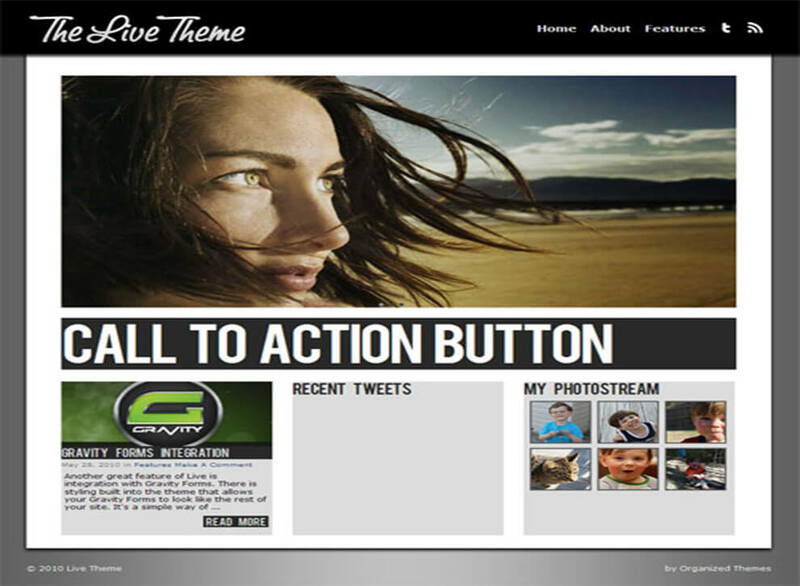 These themes are quite helpful for the users since they offer more functionality. 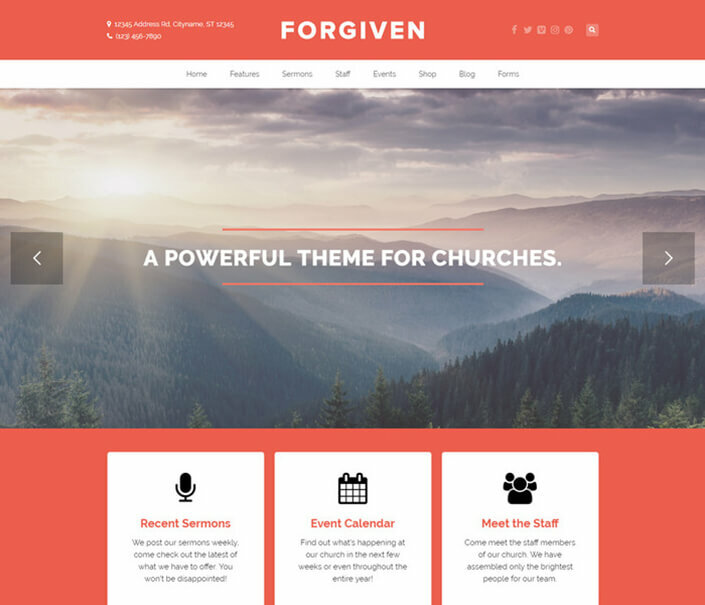 Along with that, these themes also have various options for color contrast and schemes to go with various aspects of the church. 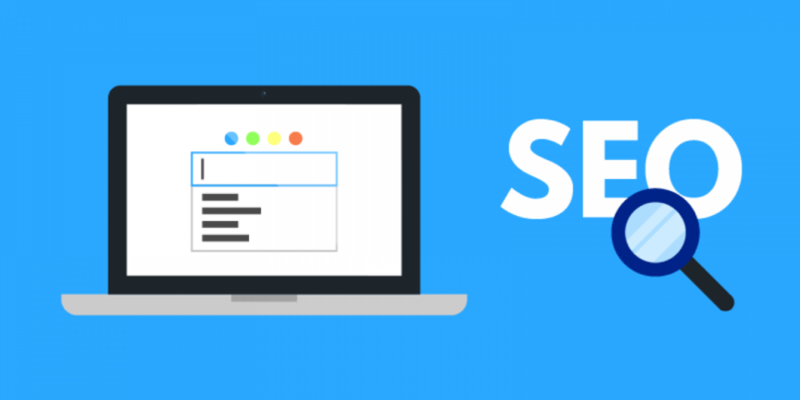 The exclusive features also let the web developers take advantage of the effects and make the job for the visitors easier so that they can easily find their desired subject or topic. 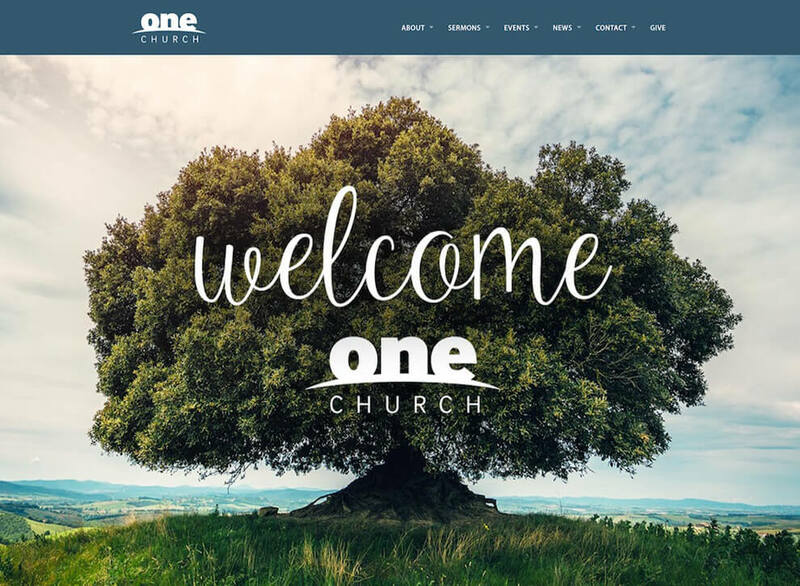 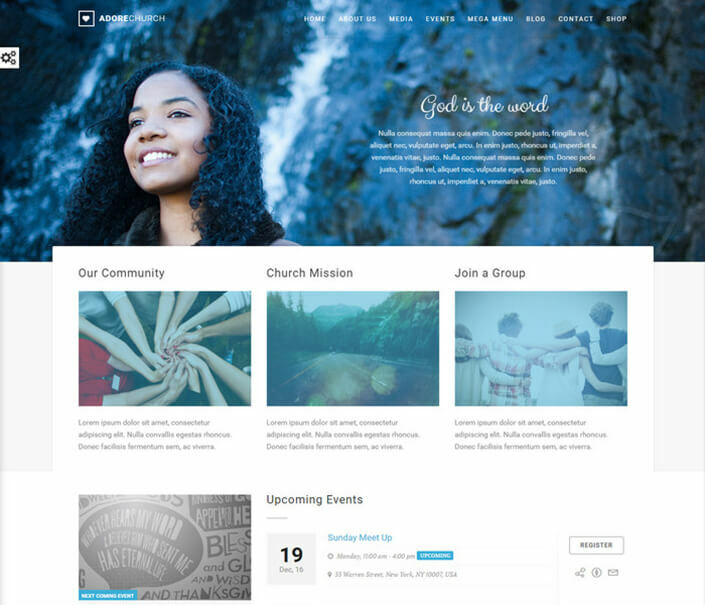 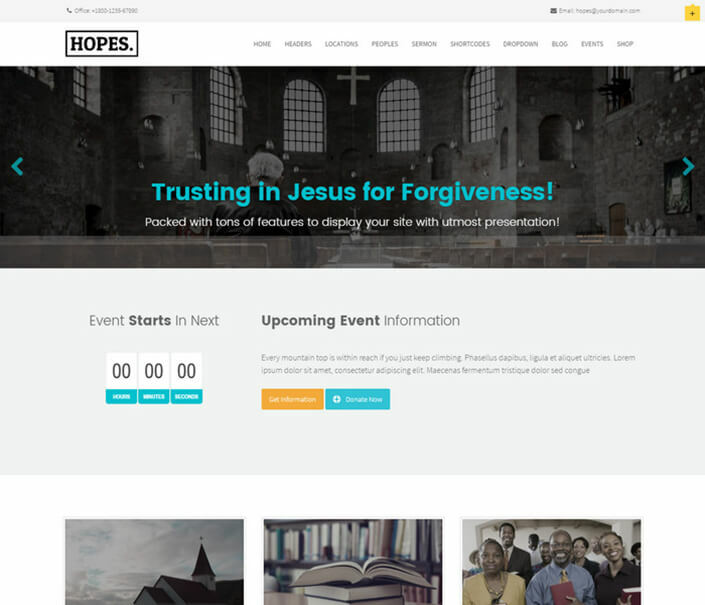 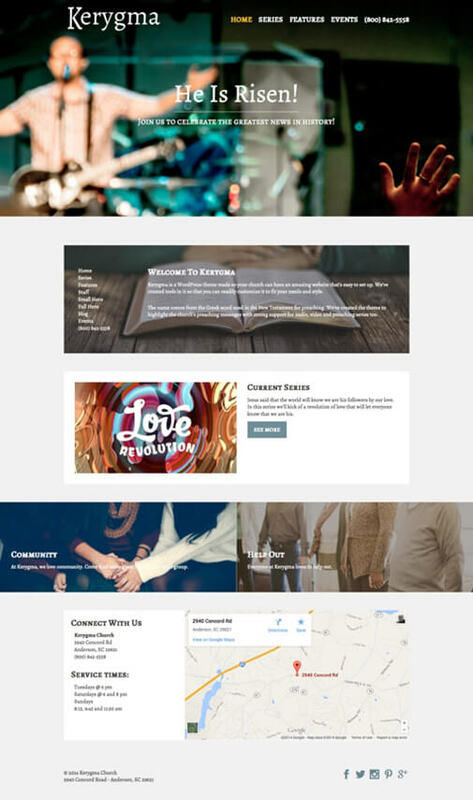 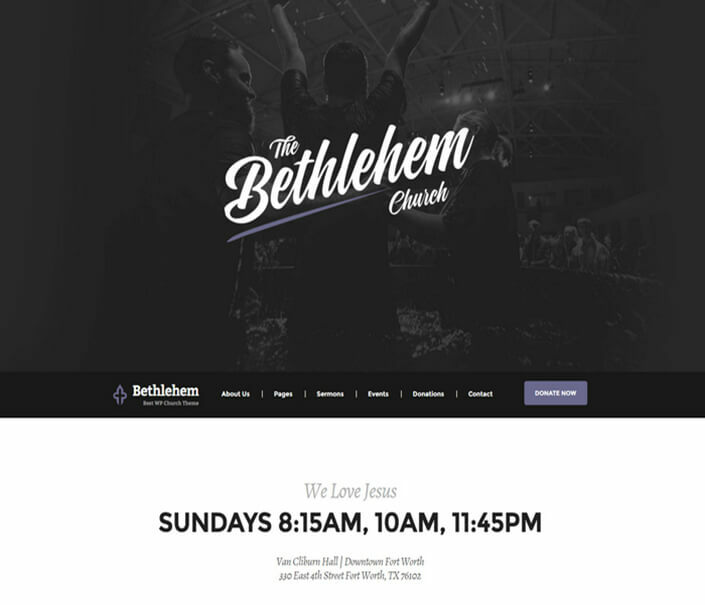 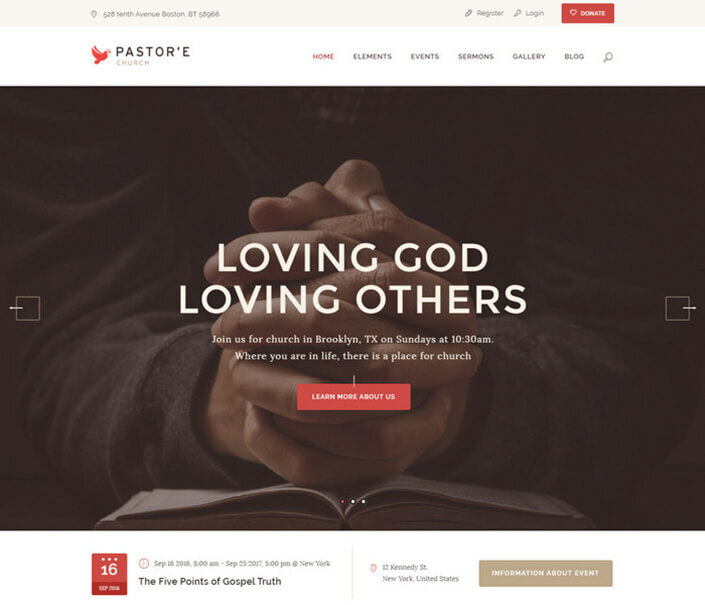 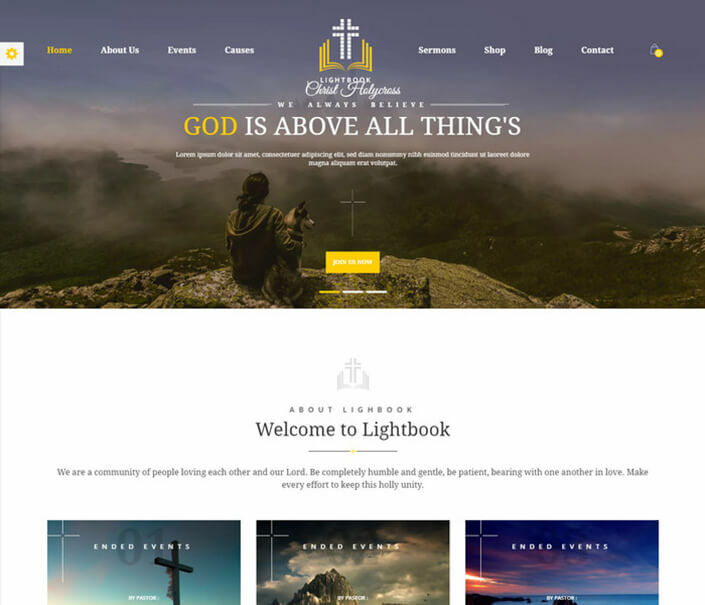 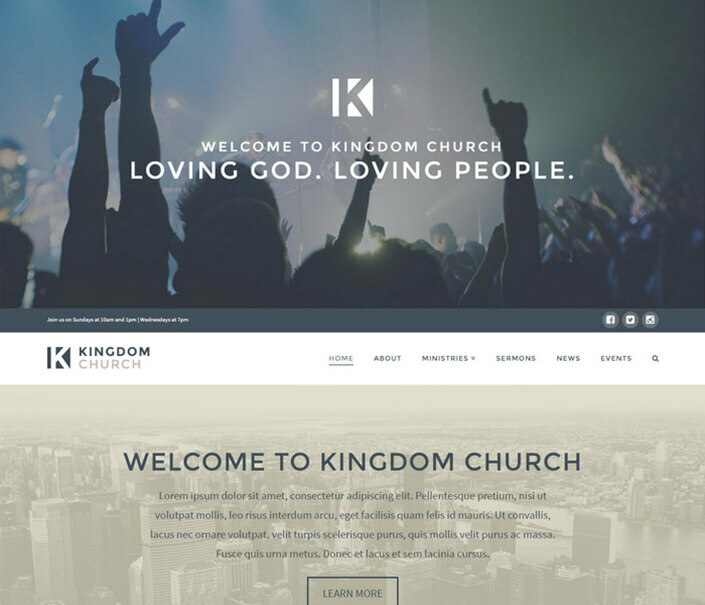 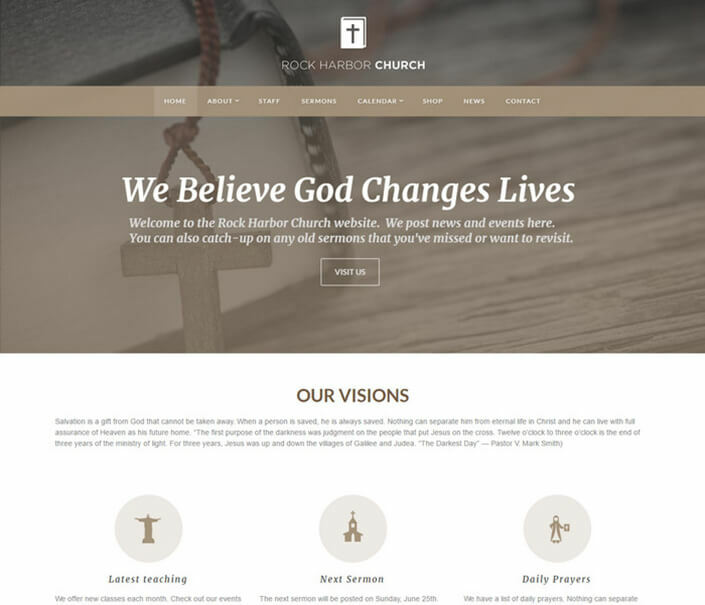 Below we’ve listed some of the most beautiful themes for church websites that our readers can use to make their websites more welcoming and engaging.